Thank you for being such a genius. 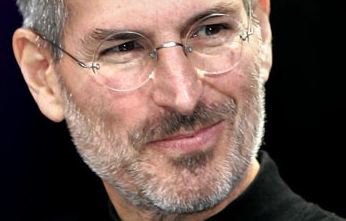 I appreciate and respect Steve Jobs a lot. He's shaped and formed the place that I live (Silicon Valley) more so than perhaps any other person, having his hands in Google, Pixar, competing with Microsoft, and probably hundreds of other start-ups. But I never was a Mac convert. I like my ipod though. But.... Is it really right to thank him for his genius? Would that be like thanking Shaq that he was tall? Thanking him kind of implies that it was something that he could have chosen. Is genius chosen? I appreciate his genius... not sure I should thank him for it.